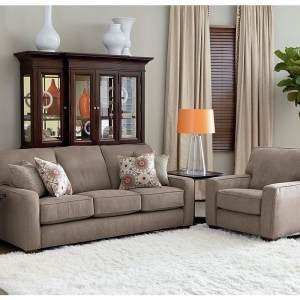 The natural appeal of this sofa is endearing. 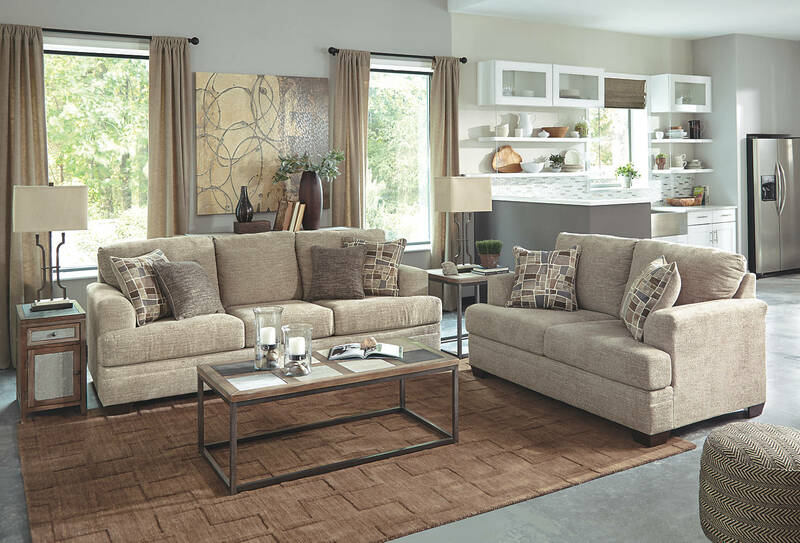 Toss pillows with brown tones and slate gray are reminiscent of stone. 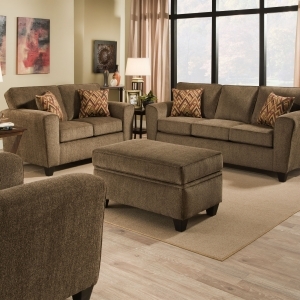 Complemented by solid graphite color pillows, ample scale and deep seating provide plenty of room to take a break and stretch out. 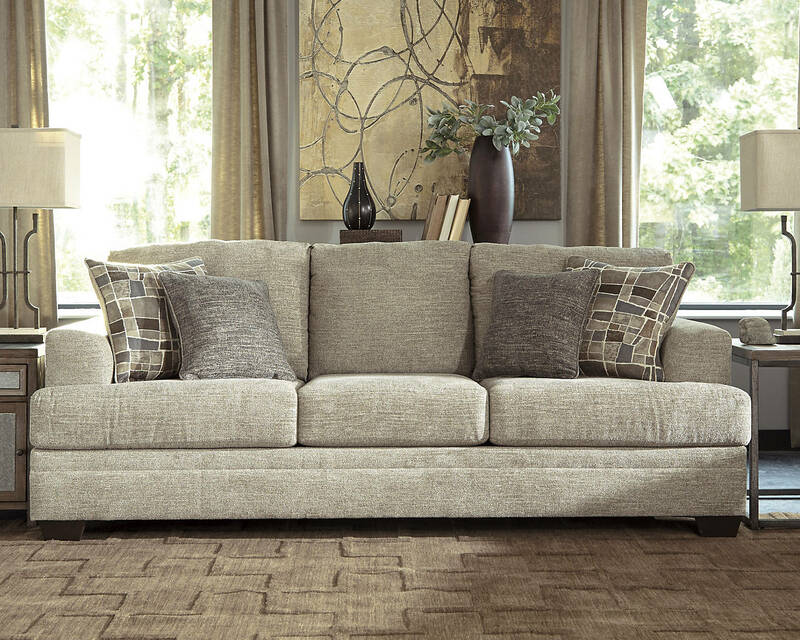 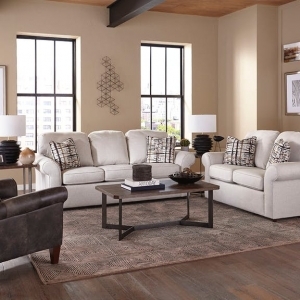 You won’t be able to stop rubbing your hand against the soft chenille texture of the tan upholstery.